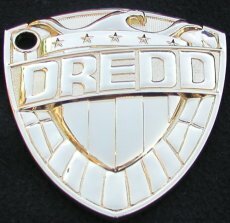 This licensed Judge Dredd badge has been cast in Zinc Alloy and then gold plated. 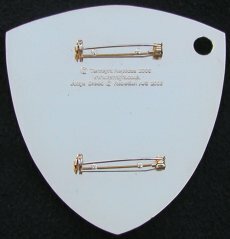 It is 90mm tall x 85mm wide x 8.5mm thick (3mm at the rim) and has two large brooch pins on the reverse. The weight is a solid 190g. 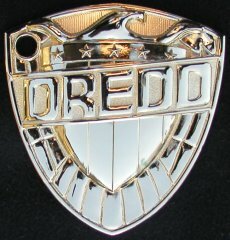 Available from Termight Replicas.